The Barolo Classic DOCG by Oddero is made with grapes coming from 3 different vineyards. Aging in Austrian oak barrels and Slavonia, for 30 months. Further aging in the bottle of 6 months. Wonderful wine rich in shades, robust and structured, warm and dry. Perfect for a long time. To be combined with rich and tasty dishes. VINEYARDS The total surface area of Oddero vineyard property is about 35 hectares, of which 16.5 are cultivated with Nebbiolo for making Barolo and Barbaresco. The family property also includes about 6 hectares of hazelnut trees, the prized Nocciola Piemonte IGP of the Langhe. 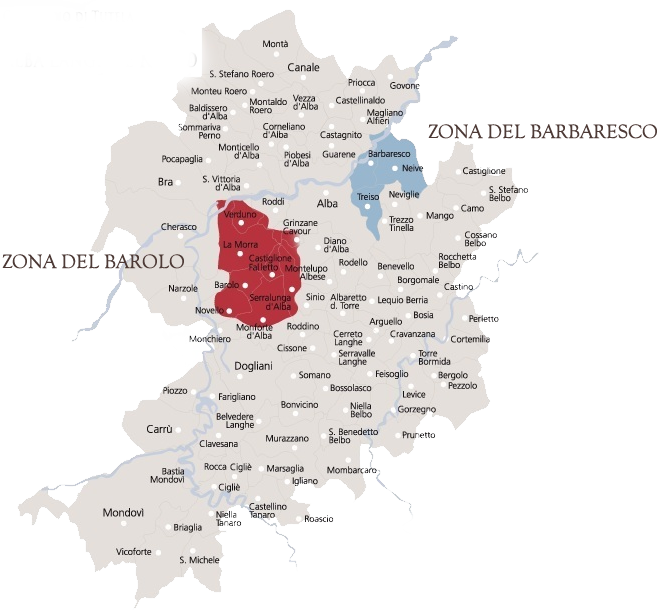 The new Production Regulations ( Disciplinari di Produzione ) for Barolo and Barbaresco officially include the codifications for “Menzioni Geografiche Aggiuntive.” These are geographical areas that are particularly prized for Nebbiolo cultivation. 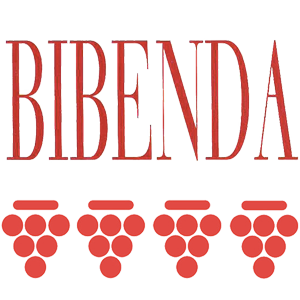 Several of the Oddero winery’s historical vineyard properties enter into this designation, and the names have been used since the 1980s on the labels of our Barolo and Barbaresco wines. PRODUCTIVE PHISOLOPHY There are many ways to show respect for the natural heritage of our territory and for the health of our consumers . At times, it means simply taking daily measures that everyone can do; at other times, it means having an action plan, perfectly calibrated to guarantee the most natural cultivation of vineyards and crops possible. Beginning in 2008, we began practicing organic vineyard management , gradually changing our habits year by year. The first step was to eliminate the use of springtime herbicides and to learn how to manually and mechanically control weeds, even among the vineyard rows (not an easy or cheap operation when done by hand). We reintroduced the soil tillage practices that we used in the past. Tilling is fundamental after harvest to aerate and enrich the earth with useful microorganisms (bacteria and fungi), thus permitting water to infiltrate the soil in the winter and spring and favor the incorporation of essential organic substances. To avoid insecticides, we began using pheromone dispensers that sexually disorient the insect Tignola. And to help with the development of the vines and to combat erosion, we use green cover between the rows, made from a biodiverse mix of selected seeds and green manure, or grass clippings, and tilling it under. The successful results encourage us to continue pursuing this course of action. In 2011, we sought organic conversion for several Nebbiolo vineyards; and in 2017, these vineyards will be organically certified for a total surface area (rather fractured) of about 18 hectares. Once the Nebbiolo vineyards are converted, we will begin converting all other varieties, as well. It is a big commitment : we do not have one piece of 35 hectares of land, but many small vineyards (sometimes just half a hectare big) distributed in a wide zone from La Morra to Serralunga d’Alba including Monforte d’Alba, Castiglione Falletto, Neive, and Trezzo Tinella. In the cellar, we give maximum respect to the raw materials, which truly represent the richness and versatility of our soil. We strive to work so that our bottles of wine “are” the vineyards that we cultivate. We have the great fortune to possess some of the most beautiful and important vineyards of the Langhe in Barolo and Barbaresco territory. It is a considerable treasure—these are “talents” that should not be wasted. It will not be easy and it requires the commitment and heart of everyone who works with us. The vineyards deserve our most heartfelt thanks. 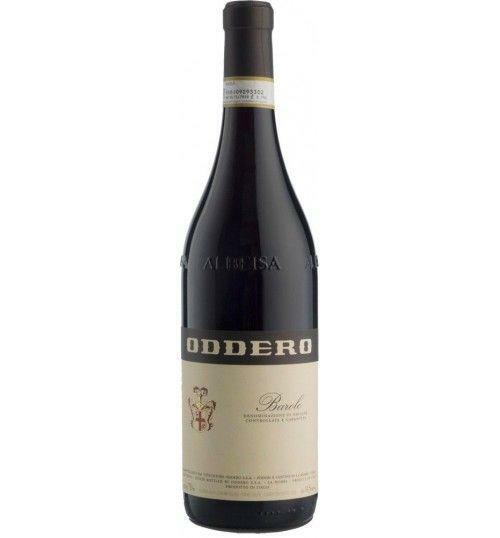 THE COMPANY Poderi e Cantine Oddero è uno dei marchi storici tra i produttori del Barolo. L’azienda ha radici che risalgono alla fine del XVIII secolo, quando gli avi della nostra famiglia cominciarono a vinificare in proprio. Le cantine, situate in Frazione Santa Maria di La Morra si innalzano su di un terrazzo naturale e gettano lo sguardo sulle colline delle Langhe. Immersa in un mare di curatissimi vigneti, la nostra azienda coltiva 35 ettari dei migliori cru delle Langhe e dell’Astigiano da cui ottiene l’eccellenza dei vini piemontesi: Barolo, Barbaresco, Langhe Nebbiolo, Dolcetto d’Alba, Barbera d’Alba, Barbera d’Asti e Moscato. Sapienza antica e aggiornate tecniche produttive. Tenacia, pazienza, rispetto della materia prima e del territorio. 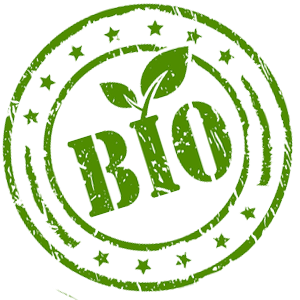 Produrre vini per noi significa curare ogni dettaglio: dalla potatura invernale alle primaverili operazioni in verde, dai diradamenti alla vendemmia, fino alla pigiatura, la fermentazione e il lungo affinamento. La qualità è un valore che si scopre nei dettagli. HISTORY It is difficult to pinpoint a precise date for when our ancestors began making wine, though the vineyards and farmhouses that we live in today have always belonged to the family. From researching parish and township documents, however, we can confirm that the Oddero family has been present in the territory of La Morra since at least the 18th century . Through writings, notarial acts, and personal photographs, we know that Giovanni Battista Oddero (1794 -1874)—and after him, his sons Lorenzo (1821-1903) and Luigi (1832-1893)—began to vinify grapes in the township of La Morra between the 18th and 19th centuries. 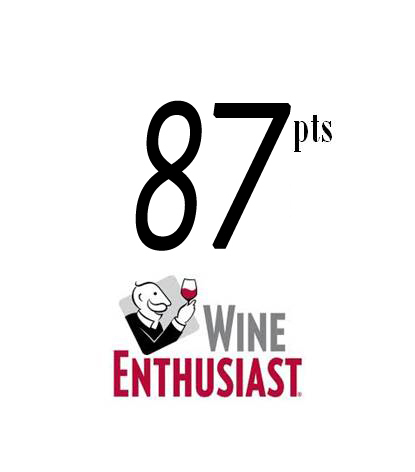 It is through their efforts that our wines were introduced to the rest of the world. First, they were sold in small barrels and demijohns, and by 1878 they were sold in bottles through the efforts of the first Giacomo Oddero (1851-1915). Several recent findings demonstrate that near the end of the 19th century, Barolo Oddero was already being successfully exported to the Americas in small oak barrels. 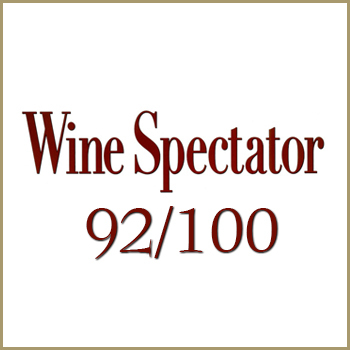 Other wines earned important recognitions in Italy. In 1911, our Barolo was part of the International Exposition of Turin. It was included in a wine tasting organized by the Subalpine Oenophiles Guild ( Circolo Enofilo Subalpino ) in occasion of the 50th anniversary of the Unification of Italy..
Before 40,70 € tax incl. Tasting Color: red brilliant garnet. Perfume: unmistakable, very pleasant, intense and ethereal, very persistent, sometimes spicy, with hints of truffle, licorice, dried flowers. Taste: dry, with important and full tannins. Service temperature 18° - 20° C.
Barbaresco officially include the codifications for “Menzioni Geografiche Aggiuntive.” These are geographical areas that are particularly prized for Nebbiolo cultivation. 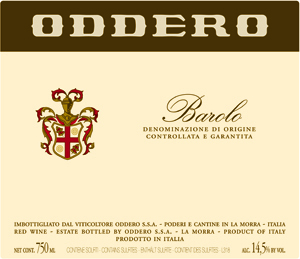 Several of the Oddero winery’s historical vineyard properties enter into this designation, and the names have been used since the 1980s on the labels of our Barolo and Barbaresco wines. There are many ways to show respect for the natural heritage of our territory and for the health of our consumers. At times, it means simply taking daily measures that everyone can do; at other times, it means having an action plan, perfectly calibrated to guarantee the most natural cultivation of vineyards and crops possible. Beginning in 2008, we began practicing organic vineyard management, gradually changing our habits year by year. The first step was to eliminate the use of springtime herbicides and to learn how to manually and mechanically control weeds, even among the vineyard rows (not an easy or cheap operation when done by hand). We reintroduced the soil tillage practices that we used in the past. Tilling is fundamental after harvest to aerate and enrich the earth with useful microorganisms (bacteria and fungi), thus permitting water to infiltrate the soil in the winter and spring and favor the incorporation of essential organic substances. To avoid insecticides, we began using pheromone dispensers that sexually disorient the insect Tignola. And to help with the development of the vines and to combat erosion, we use green cover between the rows, made from a biodiverse mix of selected seeds and green manure, or grass clippings, and tilling it under. The successful results encourage us to continue pursuing this course of action. In 2011, we sought organic conversion for several Nebbiolo vineyards; and in 2017, these vineyards will be organically certified for a total surface area (rather fractured) of about 18 hectares. Once the Nebbiolo vineyards are converted, we will begin converting all other varieties, as well. It is a big commitment: we do not have one piece of 35 hectares of land, but many small vineyards (sometimes just half a hectare big) distributed in a wide zone from La Morra to Serralunga d’Alba including Monforte d’Alba, Castiglione Falletto, Neive, and Trezzo Tinella. In the cellar, we give maximum respect to the raw materials, which truly represent the richness and versatility of our soil. We strive to work so that our bottles of wine “are” the vineyards that we cultivate. We have the great fortune to possess some of the most beautiful and important vineyards of the Langhe in Barolo and Barbaresco territory. It is a considerable treasure—these are “talents” that should not be wasted. It will not be easy and it requires the commitment and heart of everyone who works with us. The vineyards deserve our most heartfelt thanks. It is difficult to pinpoint a precise date for when our ancestors began making wine, though the vineyards and farmhouses that we live in today have always belonged to the family. From researching parish and township documents, however, we can confirm that the Oddero family has been present in the territory of La Morra since at least the 18th century. Through writings, notarial acts, and personal photographs, we know that Giovanni Battista Oddero (1794 -1874)—and after him, his sons Lorenzo (1821-1903) and Luigi (1832-1893)—began to vinify grapes in the township of La Morra between the 18th and 19th centuries. 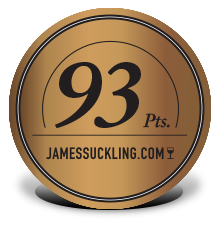 It is through their efforts that our wines were introduced to the rest of the world. 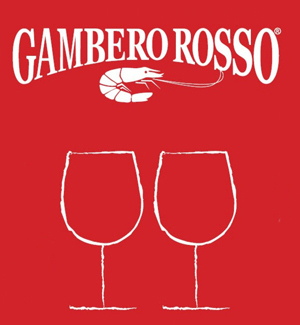 First, they were sold in small barrels and demijohns, and by 1878 they were sold in bottles through the efforts of the first Giacomo Oddero (1851-1915). Several recent findings demonstrate that near the end of the 19th century, Barolo Oddero was already being successfully exported to the Americas in small oak barrels. Other wines earned important recognitions in Italy. In 1911, our Barolo was part of the International Exposition of Turin. It was included in a wine tasting organized by the Subalpine Oenophiles Guild (Circolo Enofilo Subalpino) in occasion of the 50th anniversary of the Unification of Italy..